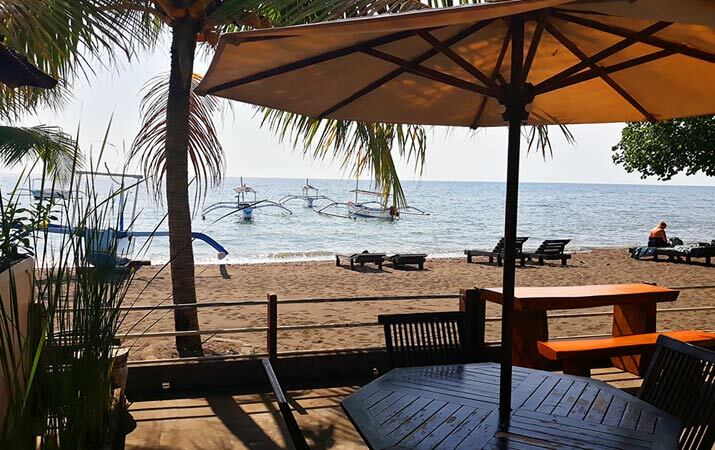 Lovina in the north of Bali is famous for the dolpin trips, waterfalls, hotsprings, black sand beaches, coral reefs and the authentic traditional Balinese atmosphere. 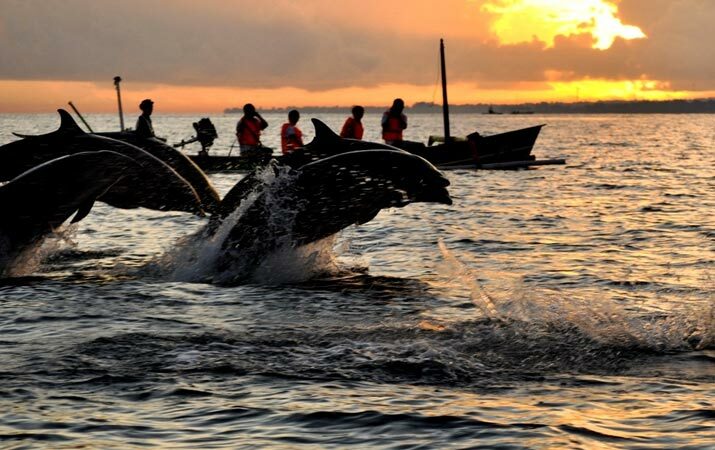 The name Lovina is used for the 10 kilometer stretch of seven traditional villages at the beach that merge into one, Gede is situated in Anturan. Mr. Gede was a fisherman in Lovina and decided 30 years ago to start a homestay. 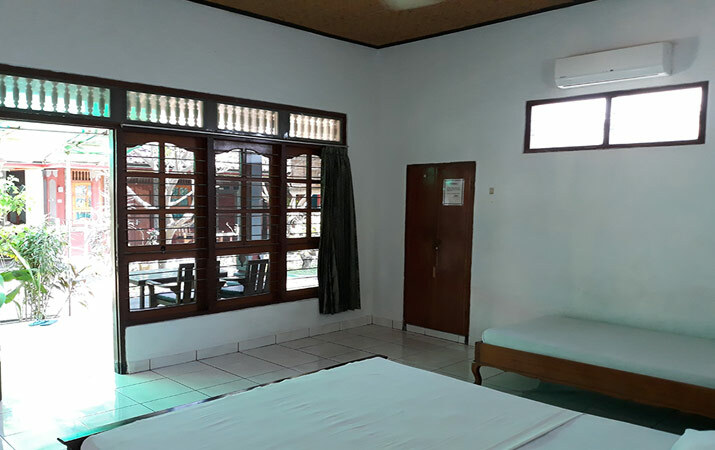 The traditional Balinese homestay (Pondok Wisata in Indonesian) has rooms and small bungalows and is run by family members. 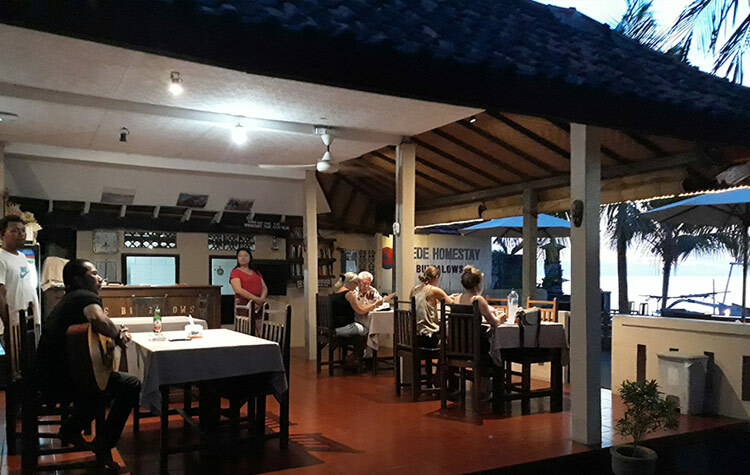 At Gede Homestay the family can take care of dolphin trips, organize tours and & transport, cook great food and take care of everything that you need. Through the years many visitors from around the world have stayed here and many of them keep coming back for the unique location, people and atmosphere. The homestay is about a 20 minute walk from the dolphin statue, we can take care of transport by motobike or car. Mr. Gede is now over 70 years old and his son Ketut is taking over most of his work. 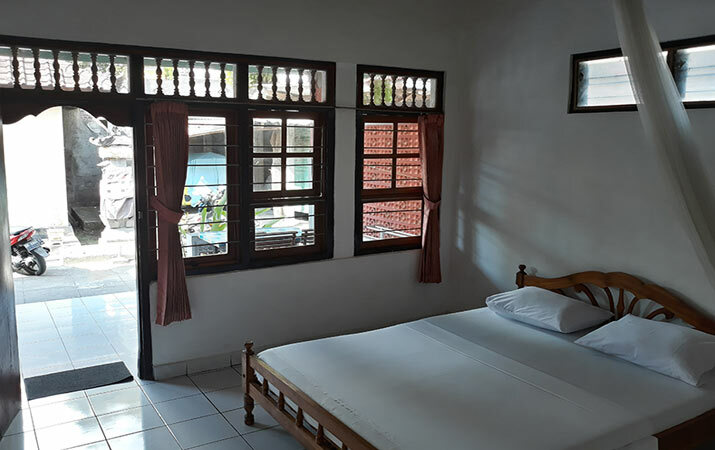 At Gede Homestay Bungalows we have 11 rooms avalaible and breakfast is included. Not all our rooms are on booking.com, mail us to ask if we have a room available. 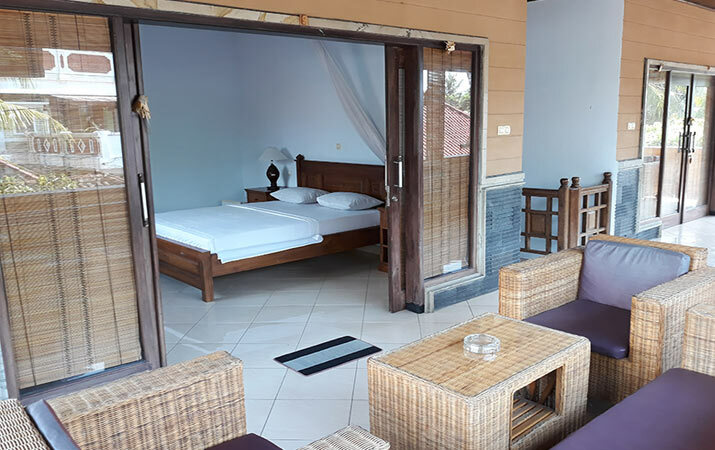 We have 4 simple standard rooms, 5 deluxe family rooms an 2 new luxurious rooms. All rooms have a private terrace with chairs and table in the garden in the front of the room. We have an airport shuttle and can pick you up anywhere on the island. We organize dolphin tours and start from the beach in front of the homestay. The wifi internet connection is fast and free and available on the whole property. 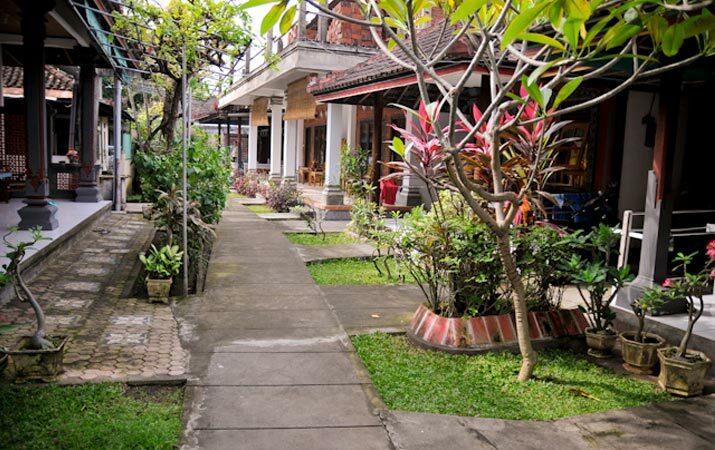 Gede Homestay is a meeting place for travellers and friends around the world. There are guests thar are staying 1 night for a dolphin trip, guest that stay for a month and enjoy the quiet beaches, guests that stay at the homestay to renew their visa at Lovina immigration, and local and western friends that are living in Lovina visit the homestay to have a cold beer, have a good conversation and sometimes play some music. All this makes Gede Homestay a unique place where new friendships and memories are formed. 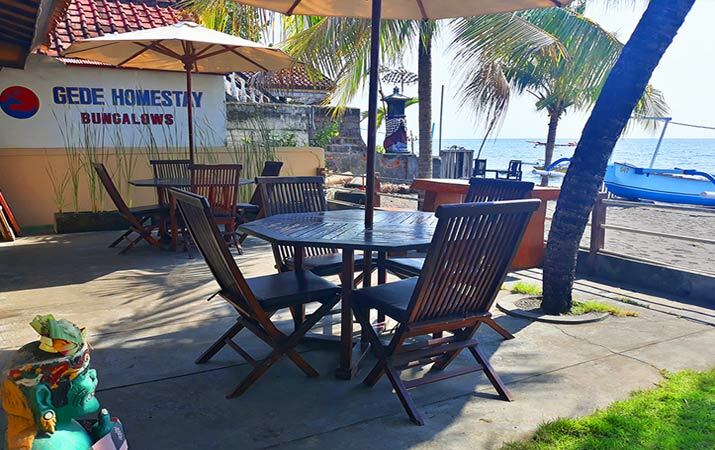 Gede Homestay has a restaurant for a good breakfast, lunch or diner with a great sunset, beach and seaview. 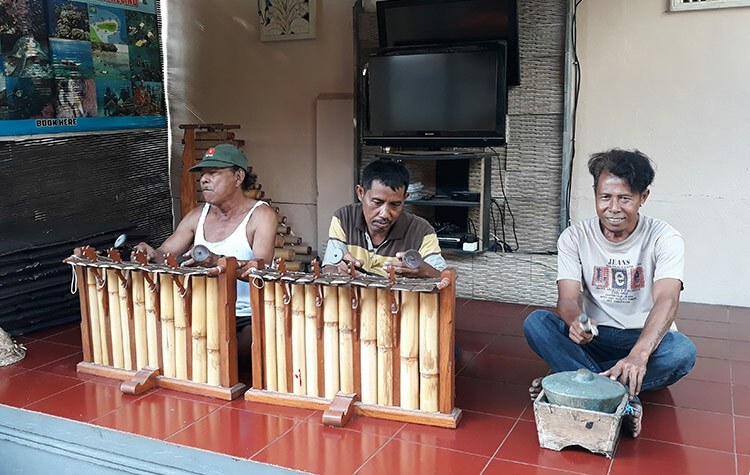 Many times people will pass by to make music on guitar or Mr. Gede and friends will play or teach Gamelan music. 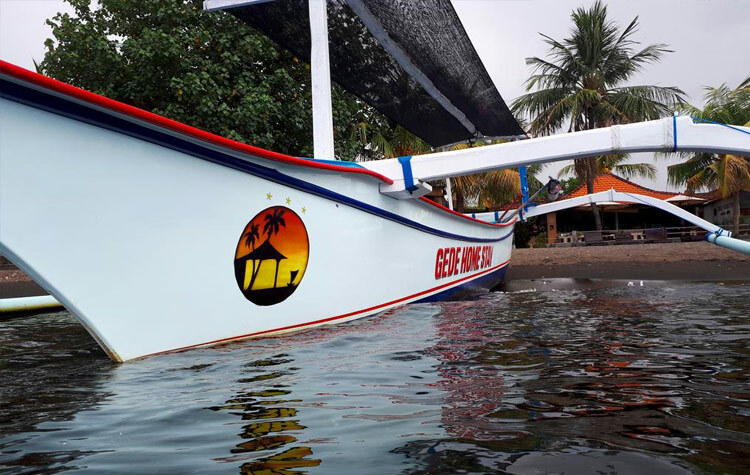 Our traditional fishing boat can pick you up at the beach for dolphin trips, snorkling trips and fishing trips. 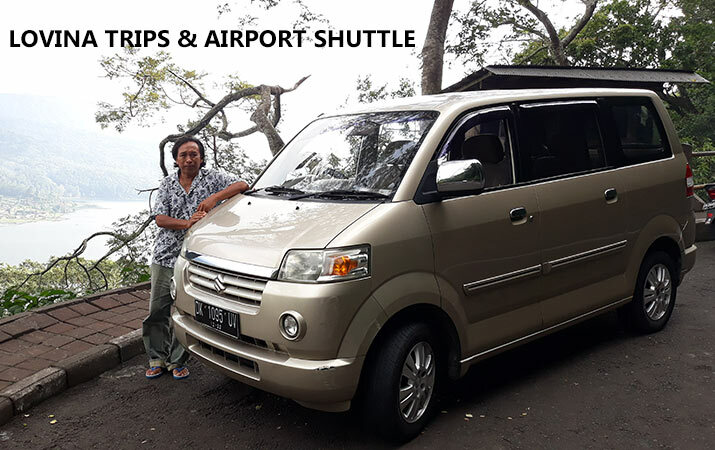 We organize tours on Bali and we can also take care of transport to and from the homestay in Bali Lovina. 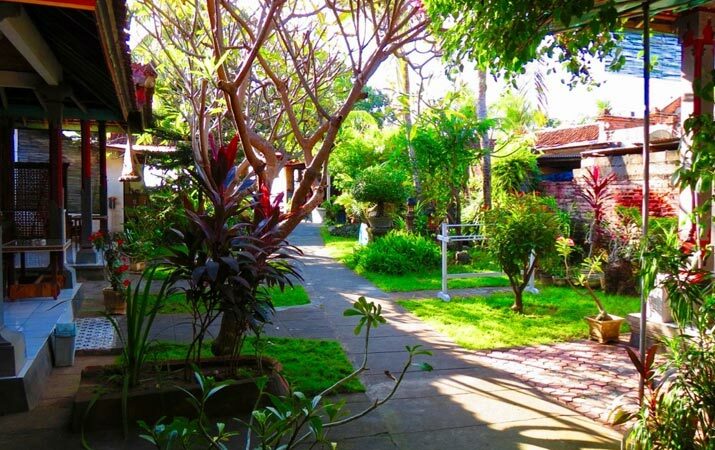 Here are some pictures of the homestay in Lovina and the trips around Lovina that you can book with us. You don't need to book a dolpin trip in front cause we can arrange it when you arrive. We are very proud that we got many good reviews on tripadvisor and booking.com where we have 8,4 points and 200+ reviews in 6 months! We are not a 5 star hotel, but our family does their best to make your stay perfect. We read all reviews and try to make things better within the resources we have. Owner and his family are great! Last day we were drinking all together next to the beach. 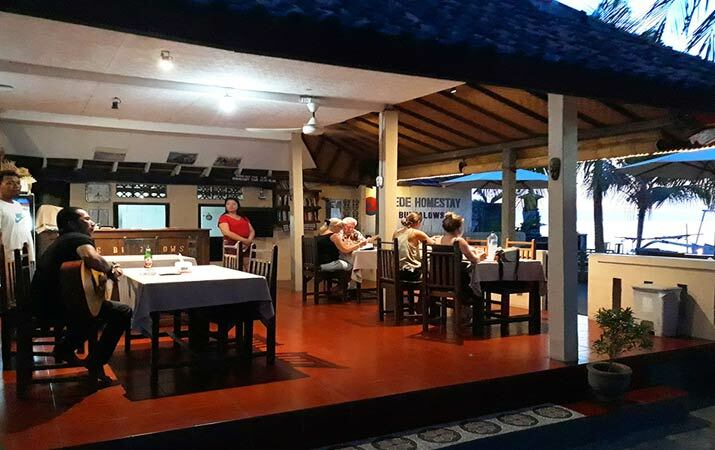 Owner shares the stories of what Balinese people believe in. Friendly people. Dolphins are next door, the room is 1 step from the beach. Perfect location, on the beach, can not beat the value for money, nice staff, rooms and place rather clean though simple. We booked our dolphin tour through them, best captain, avoiding the crowd and finding the best spots. 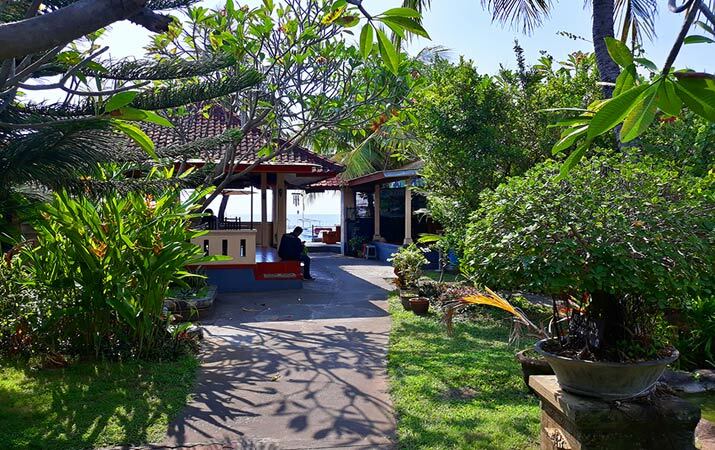 Lovina is located in the North of Bali, near the city Singaraja. You can contact us for taxi services, dolphin tours, book a room, book tours in advance or ask any other question. We are glad if we can help you to make your trip to Bali a great experience. 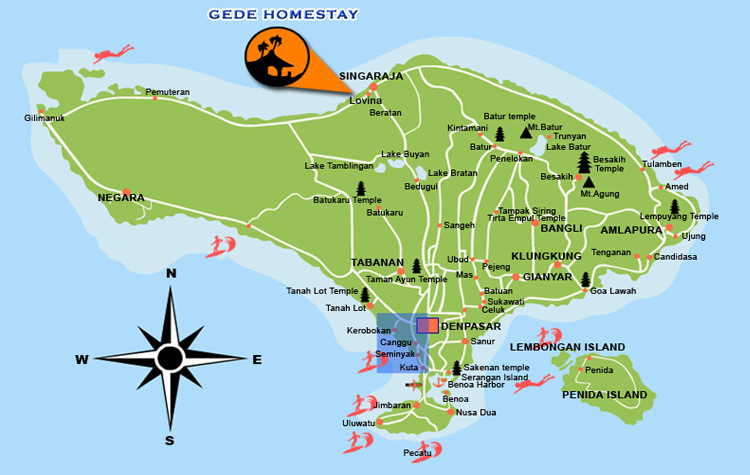 You can plan the route to Gede Homestay in Lovina on Google Maps.